It looks mysterious, magical, mighty, and a slew of other adjectives beginning with M. This rugged foam dagger is as tough and fierce as it is stylish. The rugged, durable foam dagger is relatively slender and features a soft and comfortable grip. The blade of the Warrior Dagger has a thin fuller that would have given the dagger extra strength and lightness if it had been metal; and it makes the dagger look even cooler. 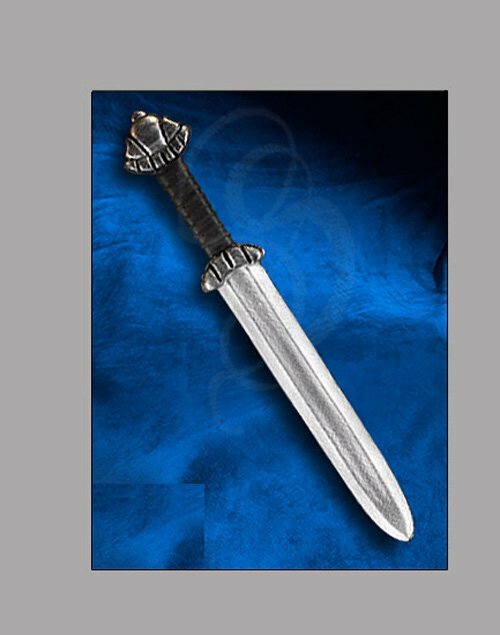 The Warrior Dagger is rugged, attractive, and cost effective. It's perfect for Live Action Role Playing, cosplay, Halloween, theatrical use or sparring/weapons training.